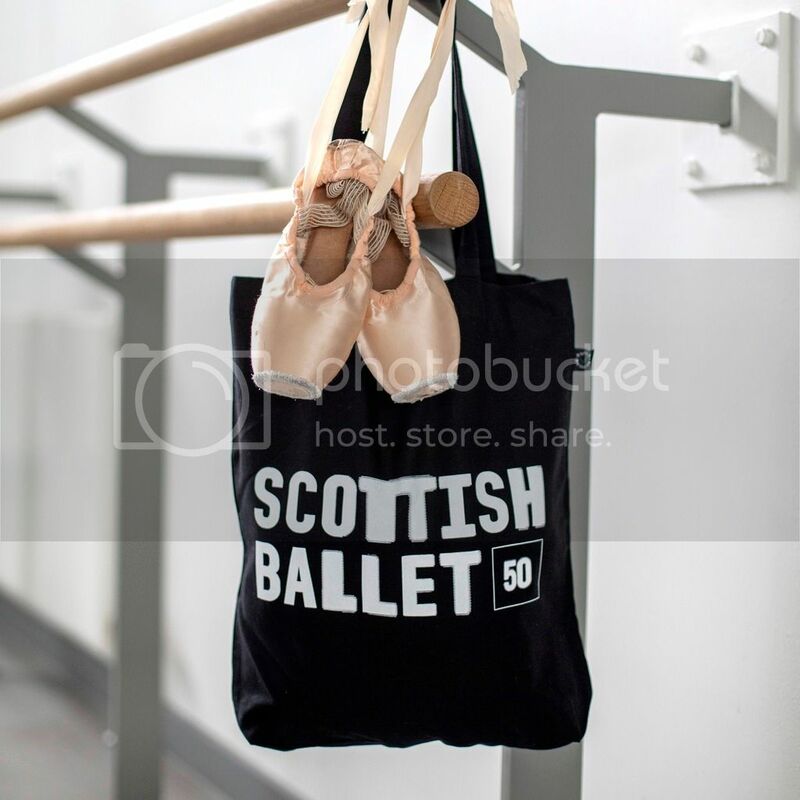 100% recycled tote bag with long strap and Scottish Ballet logo printed on one side. COLOUR Black. PRINT White SIZE 37cm square. MATERIAL 60% Cotton, 40% Polyester. Earth Positive.